Just nice light at an early morning house fire. 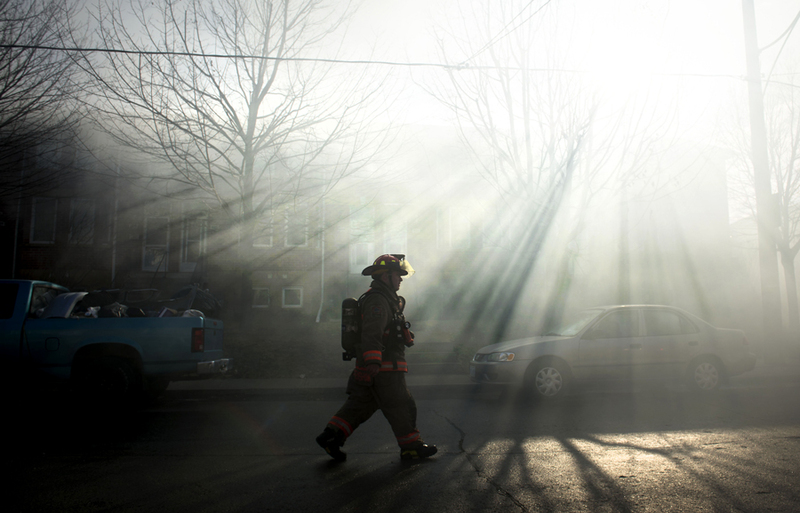 A firefighter walks through smoke while on the scene of a house fire in Toronto. Two firefighters were injured while battling the blaze, forcing Toronto Fire to issue a mayday call.